Google Maps for Android adds a new feature that will now not only show you where you are and help you find the directions outdoor on the street, it now also provides you where you might want to go when you're indoors. Yes, I repeat is indoors. 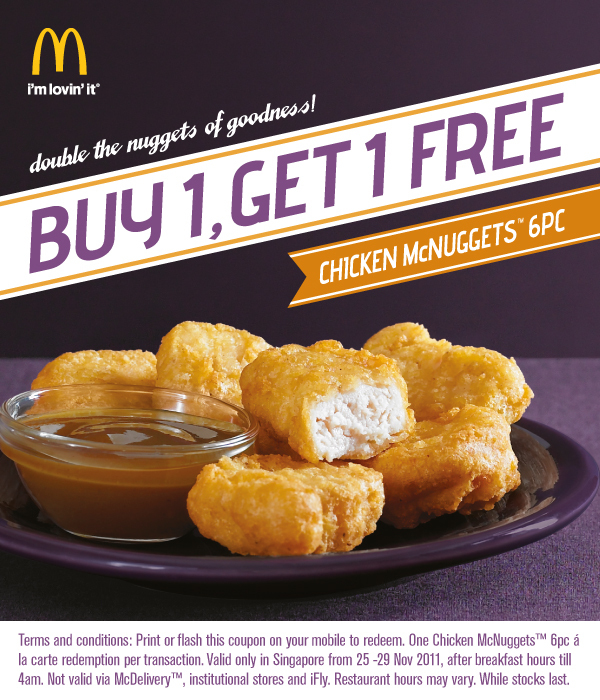 Click here to find the list of participating stores. Google sum up evolution of search in a six-minutes video. Burger King Singapore is now offering its waffle cone at only 50 cents, starting from today with no other terms and conditions. JaxtrSMS allows sending of free mobile texting messages to all in your address book whether they have the app or not. The feature of "whether they have the app or not" is going to put this mobile app an advantage over its peers. The following are some of the tools (non-exhaustive) to conduct a "Security Test" on ASP.Net web applications. Do share with us the ones you are using too. A multithreaded fast proxy checking software. This software is able to support SOCKS4/SOCKS5/HTTP/HTTPS proxies. A framework for analysing applications that communicate using the HTTP and HTTPS protocols. Features high-speed discovery, configuration auditing, asset profiling, sensitive data discovery and vulnerability analysis of your security posture. Provides checks to enhance the overall security of your web server infrastructure, using the most complete web attack signature database available in the market such as cross-site scripting. An Open Source (GPL) web server scanner which performs comprehensive tests against web servers for multiple items, including over 6400 potentially dangerous files/CGIs, checks for outdated versions of over 1200 servers, and version specific problems on over 270 servers. It also checks for server configuration items such as the presence of multiple index files, HTTP server options, and will attempt to identify installed web servers and software. A web application security assessment software designed to thoroughly analyze today's complex web applications. It delivers fast scanning capabilities, broad assessment coverage and accurate web application scanning results. A password auditing and recovery software, packed with powerful features such as scheduling, hash extraction from 64 bit Windows versions, multiprocessor algorithms, and networks monitoring and decoding. Crack hashes with rainbow tables. A tool to assess the strength of SSL servers by testing the ciphers supported. The following are some of the tools (non-exhaustive) to conduct a "Performance Test" on ASP.Net web applications. 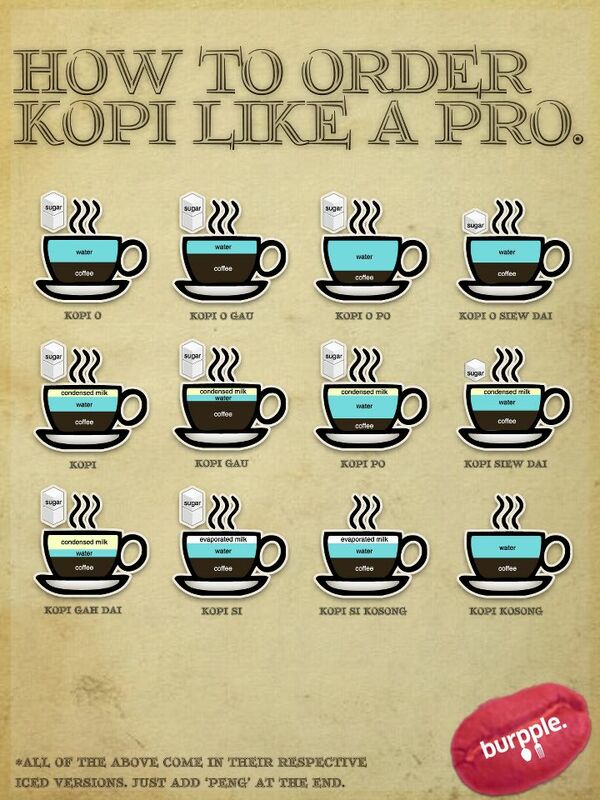 Do share with us the ones you are using too. A lightweight HTTP load generation tool primarily designed to measure the performance of a web server within a controlled environment. A command-line tool that displays network connections (both incoming and outgoing), routing tables, and a number of network interface statistics. A simple yet powerful visualization tool for viewing performance data, both in real time and from log files. A protocol analyzer that allows you to capture network traffic, view and analyze it. A tool that provides .NET code profiling, integrated SQL and File I/O analysis, and powerful visualizations give you the most complete picture of your application's performance. A Web Debugging Proxy which logs all HTTP(S) traffic between your computer and the Internet. 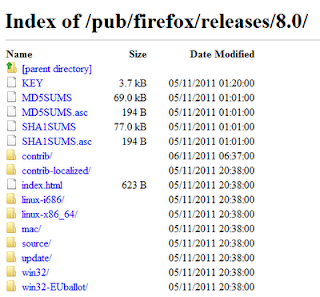 Integrates with Firefox to put a wealth of web development tools at your fingertips while you browse. Evaluates the performance of web pages and get suggestions on how to improve them. Analyzes web pages and suggests ways to improve their performance based on a set of rules for high performance web pages. An edition of Visual Studio that provides capabilities to perform various forms of testing. Experts Exchange is a technology help site that's been online since 1996. This short video provides a look at what makes the community different. Located on a 18ha site, Johor Premium Outlets (JPO), a Iskandar Project, is scheduled for a soft launch opening on 2 December 2011. JPO, modelled after Woodbury Common Premium Outlets in the US, located in Johor Kulai area not too far off the Singapore-Johor Tuas Second Link, offers a huge collection of designer brands ranging from Armani Exchange to Zegna at big discounts. 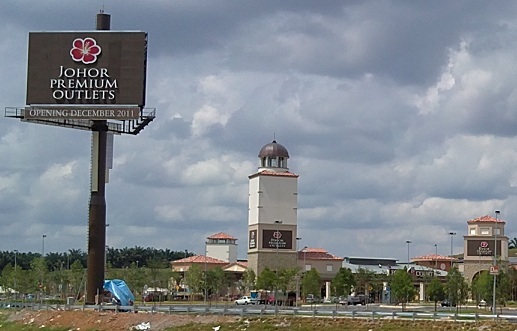 Directions on how to get to Johor Premium Outlets (JPO) can be found here. In case you are lost, here is the GPS position: 1º 36’31” N 103º 37’59” E or key in "senai north toll" in your search bar of your GPS. On Google Maps, the piece of land JPO is supposed to be on is still a barren ground (yet to be updated). Looks interesting. Shall try one day. Google Refine is a power tool for working with messy data, cleaning it up, transforming it from one format into another, extending it with web services, and linking it to databases like Freebase. It comes as a desktop application and can run without Internet connectivity, hence, you can be rest assured that your sensitive data is kept in your local disk. 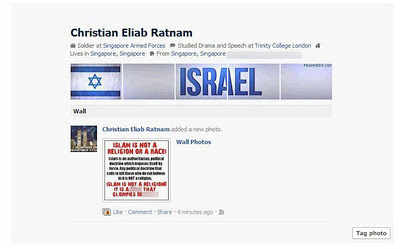 Just when the young PAP (YPAP) member Jason Neo 'racist' online posting on his Facebook page stereotyping a bus load of young Malays as young terrorist trainees is still fresh in our mind, yet another similar case under the Sedition Act is reported - this time against a NSF by the name of Christian Eliab Ratnam. A Nov 20, 2011 post on The Sunday Times "NSF posts online picture of text criticising Islam"
The national serviceman, identified as Mr Christian Eliab Ratnam, had posted a picture of text claiming, among other more inflammatory things, that Islam is not a religion but 'an authoritarian, political doctrine which imposes itself by force'. Mr Ratnam's Facebook account has since been deactivated. But an edited screenshot of his posting was put up on TOC on Friday evening. It drew swift condemnation of Mr Ratnam from netizens. TOC later ran a statement from Mr Ratnam apologising for the posting. It stated that he was not affiliated with any group nor did he wish to cause disharmony. This is the second such investigation in recent days. Last week, police commenced investigations into one Jason Neo for an offensive caption of a picture of Malay children in a schoolbus, which he put on Facebook. Checks on the Internet found that Mr Ratnam appears to support pro-Israel and Jewish causes. Screenshots and a cached version of his Facebook page showed an image of Israel's flag and the symbol for the Israel Defence Forces. 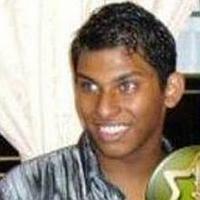 He was also a member of a Facebook group for Israelis and Jews living in Singapore. In a Facebook group called 'anti-feminist empire', Mr Ratnam made a posting that directed readers to another group, started by his wife. Called 'Submissive and Obedient Wives (For G-d and Husband)', the Facebook group advocates that a wife submit, obey and revere her husband. It quotes extensively from the Bible and Torah. 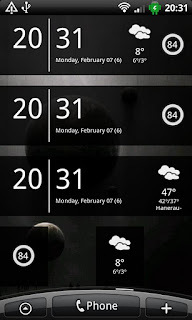 Samsung Galaxy Nexus, the first smartphone with the latest Android 4.0 or codenamed Ice Cream Sandwich operating system, has released its official video ad. The video ad is a simple showcase of all of the new features in Android 4.0, including NFC, panorama photos and face recognition. 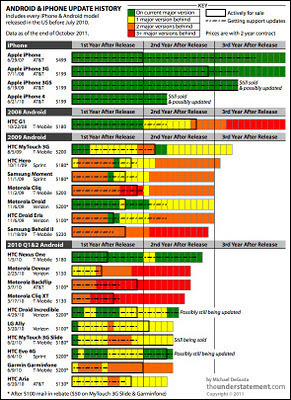 For more detailed review on the first impressions on Galaxy Nexus Android 4.0 smartphone, read here. Young PAP (YPAP) member Jason Neo quits after being accused over 'racist' online posting. The religiously and racially offensive caption to a photograph which he uploaded on his Facebook page is shown below. 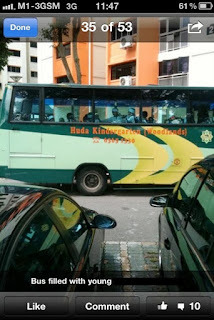 His caption said: 'Bus filled with young terrorist trainees?'. This posting, which was made in February before he joined the PAP, went viral recently. Will Jason Neo be charged? Facebook has finally brought back Recent Stories in News Feed after public outcry against recently launched Top Stories first. This update allows you to choose from two options to organize your News Feed content: "Highlighted Stories First" or "Recent Stories First", with the former being the default option. His stumble was on YouTube here. Then the same man Rick Perry himself appeared on Thursday night on The Late Show with David Letterman to poke fun at himself, jokingly firing off 10 excuses for why he flubbed his talking points during Wednesday's on-air GOP debate. This is indeed lame. 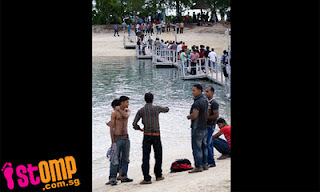 As seen on Stomp, foreign workers were seen gawking openly, staring at bikini-clad women on Sentosa beach at close range. Some were even caught taking videos using their mobiles. Is Sentosa becoming a circus? This is really negative to Singapore image. More photos from Stomp here. 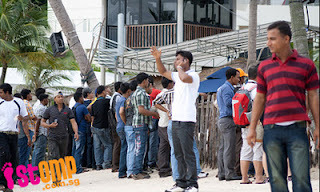 Foreign workers seem to be swarming to Sentosa to stare at bikini-clad women on the beach. A netizen "Cheryl" related to the Stomp website a recent experience with this phenomenon. When Cheryl was at the beach on Sunday, 6 November, she witnessed a large number of what appear to be foreign workers ogling at three Caucasian women. The three women, sun-tanning in bikinis, eventually left with disgusted looks on their faces. According to Cheryl, locals now refrain from going to the Sentosa beach as large swarms of foreign workers are turning up there every Sunday. The men are said to gather around the beach and ogle shamelessly at the bikini-clad women in the area, making them very uncomfortable. One time, Cheryl and her friends, clad in bikinis, were taking photos at the beach when they were suddenly surrounded by many foreign workers. The men sat and stood around the group of women, then began using their phones to film them. Recalling the incident, Cheryl says that she and her friends had felt like circus performers to be ogled so openly by the men. They are disgusted that this is happening in Singapore, and she believes that such a phenomenon will form a bad image for tourists when they use the beach. 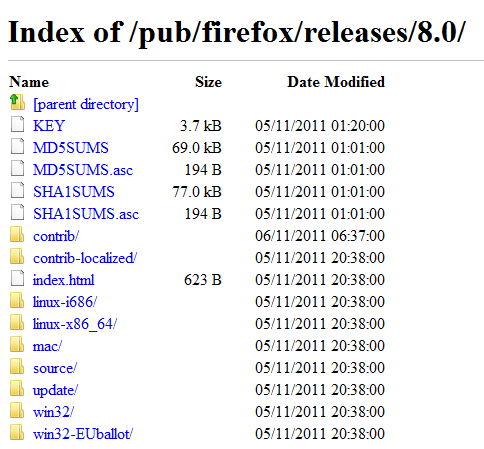 Firefox 8 will be officially made available on Mozilla's site on November 8th, but technology blog GHacks discovered that the Firefox 8.0 final version is already available for download for Windows, Mac, and Linux on Mozilla's FTP servers. 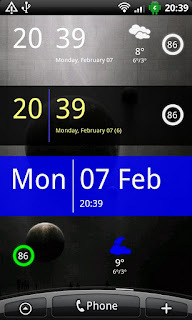 SiMi Clock Widget is a simple minimal Clock Widget for Android devices. 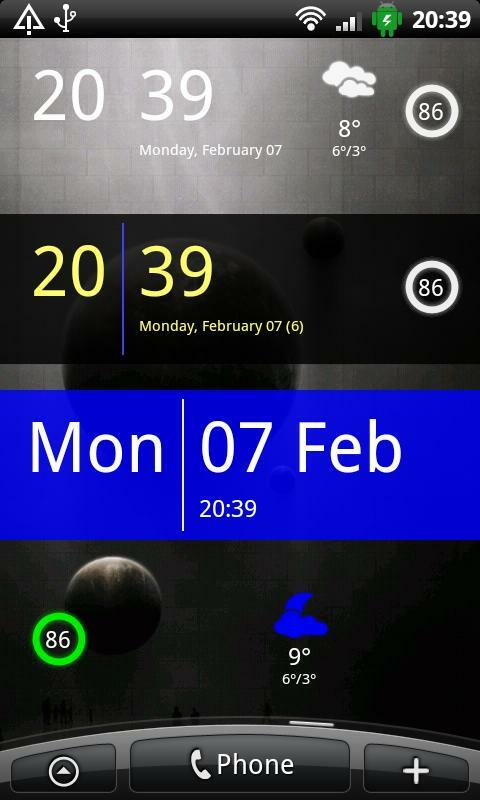 Download SiMi Clock Widget now at Android Market. Google has launched an initiative called “GoMo” Tuesday that aims to help businesses go mobile. 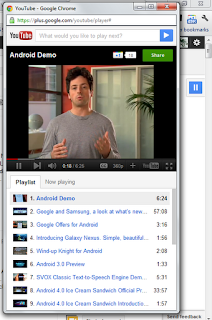 Google formally launched a mobile site development portal dubbed HowToGoMo. It is a place where you’ll find the resources you need to learn about what makes a good mobile site and to start building one. Enter a website address into the GoMoMeter and see what your site looks like on a mobile phone. The GoMoMeter will analyze your site and give you customized recommendations on how to make your site more mobile friendly. You can even download a free customized report! 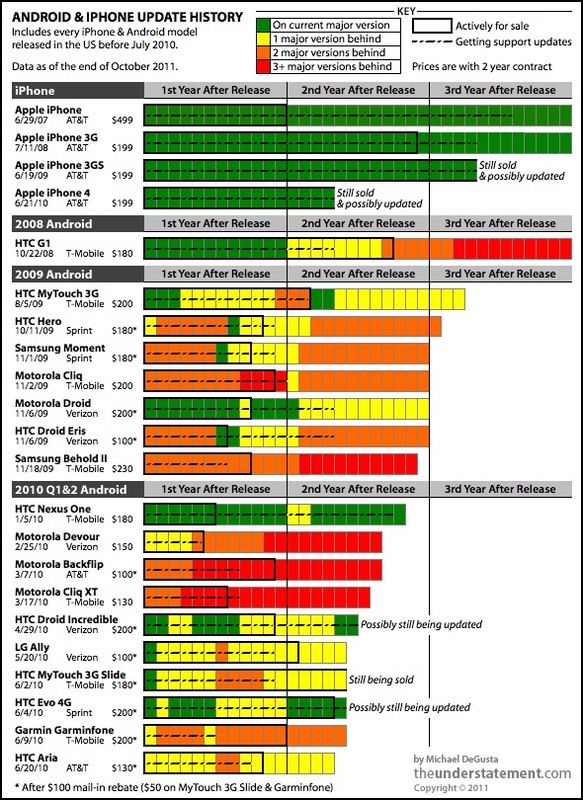 Cool infographics and the latest data will help you learn more about mobile trends and why mobile-friendly sites really matter. Look at the mobile sites of businesses who are doing it right and learn how to make your site better with our ten mobile site best practices. Check out our list of mobile site developers who can help you build your mobile website. Ever wonder what does kopi o, kopi siew dai and kopi kosong mean? The following image will bring you through a comprehensive tour the meaning of all its permutations. Google announced the integration of YouTube into Google+. Already, users are able to share YouTube videos on Google+ right in YouTube, however, the functionality is now integrated right in Google+. Google+ users will now see a small YouTube tab at the right hand side of their screen now when logged in just like the following. It's no secret that YouTube is filled with tons of great content (from inspiring speeches to music videos to honey badgers). We wanted to bring YouTube directly into Google+—as well as make it easier to watch and share your favorites—so we're launching a YouTube "slider" in the stream. In the video playlist, you can +1 a video you like or share it with your circles. Even if the video playlist window is minimized it is still possible to pause a video or skip to the next video directly from Google+. 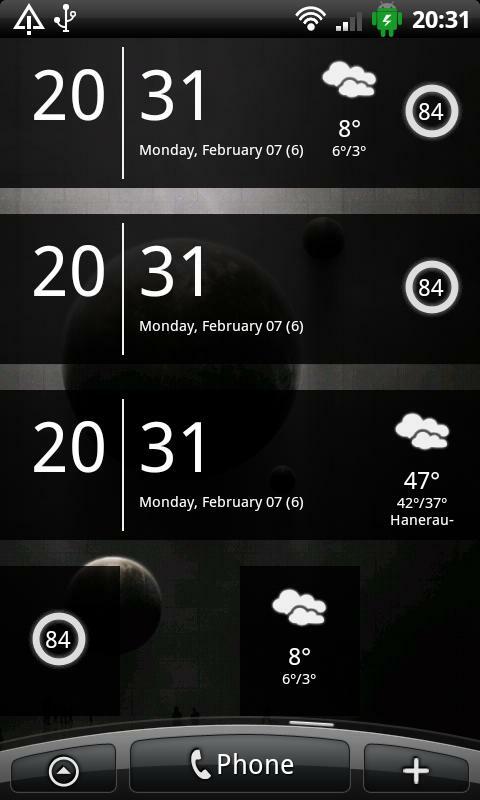 I hope the guys from the Android team do something on the fragmentation of Android devices. Steve Jobs was a great CEO, but Bill Gates has moved beyond technology and is trying to save the world. Why isn't he getting more recognition? I'm not sure about the "idolize" part. But it certainly is time to acknowledge that devoting billions of dollars of his own money in an attempt to cure malaria and other diseases that plague the developing world is at least as important as inventing the iPad. OK. I'll stop being coy. It's more important. That doesn't make Jobs any the lesser. It's simply a matter of values and perspective. Gmail has started rolling out it new design to all users, after releasing a sneak preview on it about 2 weeks ago. If you have seen the preview, you shouldn't be surprised at the roll out. 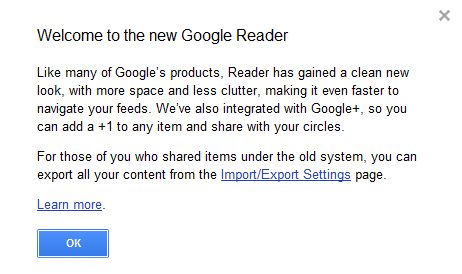 Google Reader finally spot a new design that is close to Google+. This new design looks neat and clean and spot the “Like” button replaced with the +1 button, allowing users to share content to their Google+ accounts. It would have been better if there is a way to keep articles denser just like what Google Docs have (ability to set density to Comfortable, Cozy, Compact).